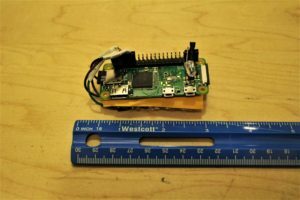 To keep this tutorial short n’ sweet (er, well, as much as possible), I’m assuming you’re starting with a functional Pi Zero W. Need some help? No problem! Here’s a full setup tutorial. We’ll also be connecting to the Pi remotely (aka wirelessly). For a more thorough overview on this process check out this tutorial. 1. 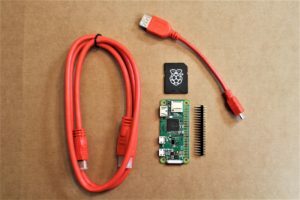 Excellent “Getting Started” guide for the Pi. 2. 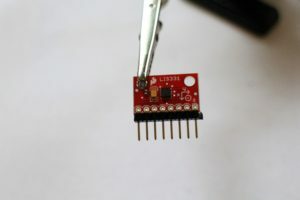 Full hookup guide for the LIS331 accelerometer breakout board. 4. 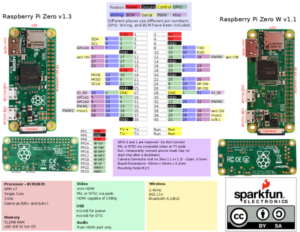 Overview of the Raspberry Pi GPIO pins. 5. 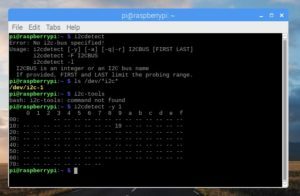 Using the SPI and I2C Serial buses on the Pi. But wait! What is Impact Force? 1. Impact force is directly proportional to the kinetic energy, meaning that the impact force increases if the kinetic energy increases. Force is typically measured in Newtons (N), but impact force may be discussed in terms of a “G-Force”, a number expressed as a multiple of g, or earth’s gravitational acceleration (9.8 m/s^2). When we use units of G-force, we are measuring an objects acceleration relative to free fall towards the earth. Technically speaking, g is an acceleration, not a force, but it is useful when talking about collisions because acceleration* is what damages the human body. Acceleration is a change in speed and/or direction. 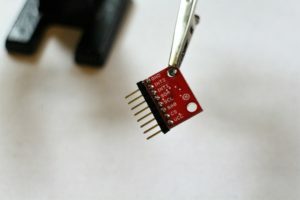 Solder and carefully remove any flux residue on the accelerometer and Pi GPIO’s header pins. You’ll see a table of I2C addresses displayed as shown in the image above. Assuming this is the only I2C device connected, the number you see (in this case: 19) is the accelerometer address! If you see a different number, take note and change in the program (variable addr). Open the terminal window, navigate to the folder where you saved the program code using the cd command. Check that the acceleration values in the x, y, and z-direction are printing to the terminal window, are reasonable, and turn on the LED light if the g-force is above our thresholds. To test, rotate the accelerometer so that the each axes point towards the earth and check that the measured values are either 1 or -1 (corresponds to acceleration due to gravity). Shake the accelerometer to make sure the readings increase (sign indicates direction of axis, we’re most interested in the magnitude of the reading). Secure Electrical Connections & Install It! Once everything is working correctly, let’s make sure the impact force monitor can actually withstand impact! 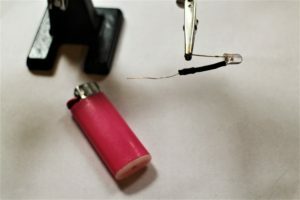 Use heat shrink tube and/or coat the electrical connections for the accelerometer and LED in epoxy. 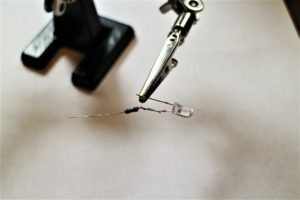 For super durable, permanent installations, consider coating the whole shebang in epoxy: the Pi Zero, the LED, and the accelerometer (but NOT the Pi cable connectors or the SD card). Warning! 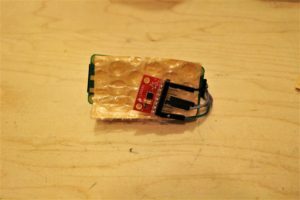 You can still access the Pi and do all the computer stuff, but a full coat of epoxy will prevent the use of the GPIO pins for future projects. Alternatively, you can make or purchase a custom case for the Pi Zero, although check for durability. 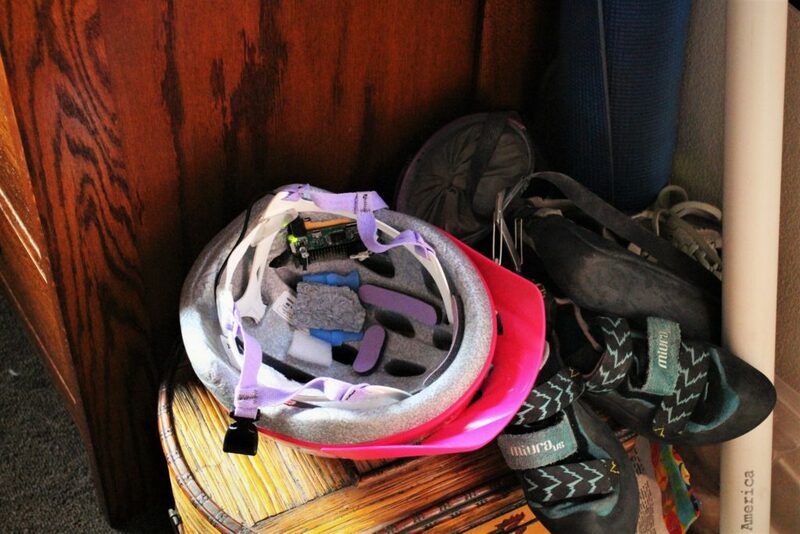 Secure to a helmet, your person, or a mode of transportation like your skateboard, bicycle, or cat*! 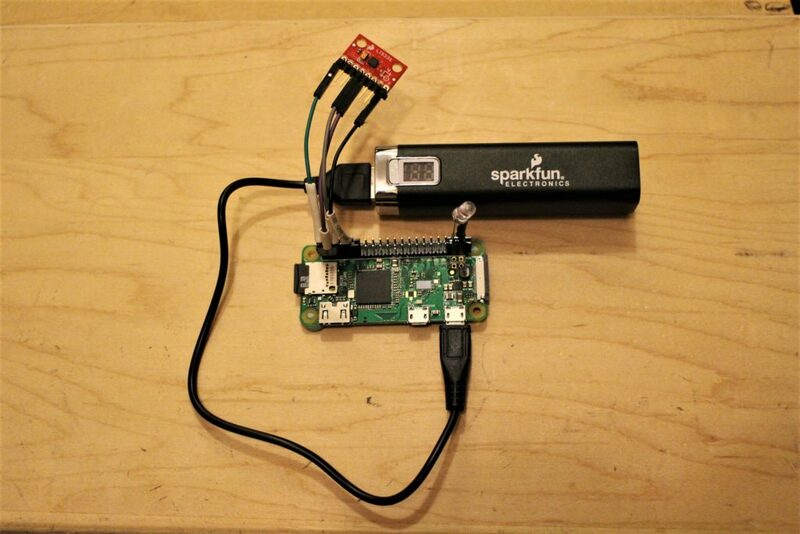 Fully test that the Pi is securely fastened or the GPIO pins may become loose causing the program to crash. *Note: I originally meant to type “car”, but figured an impact force monitor for a cat might also yield some interesting data (with kitty’s consent, of course). 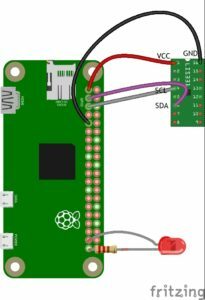 If you have not already, connect battery to Pi (with battery off). 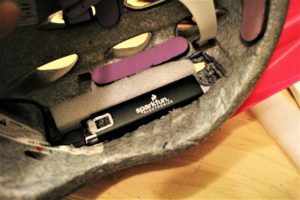 Secure the accelerometer to the back of the Pi with nonconductive insulation in between (like bubble wrap or thin packing foam). 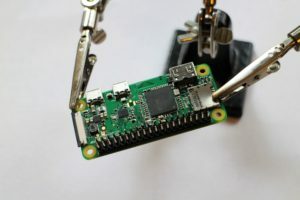 Measure the dimensions of the Pi Zero, accelerometer, LED, and battery connector combination. Add 10% on either side. 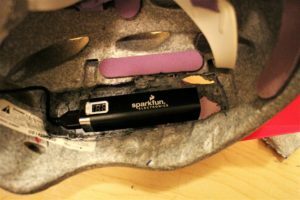 Draw a cutout for the project on one side of the helmet, with the battery connector facing towards the top of the helmet. Cut out the padding in the helmet leaving a few millimeters (~ 1/8 in.). 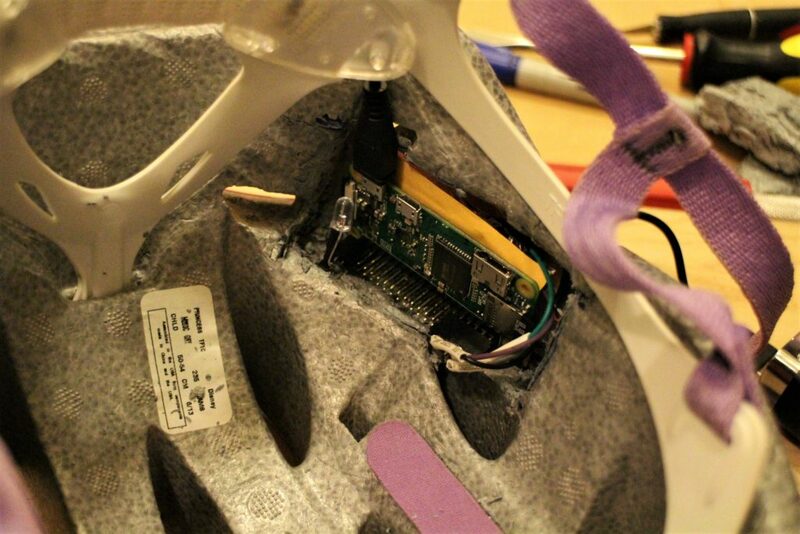 Place the sensor, Pi, and LED in the cutout. 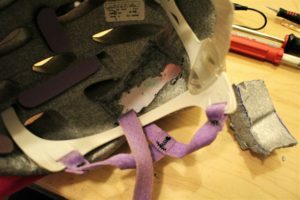 Cut pieces of the excess helmet padding or use packaging foam to insulate, protect, and hold the electronics in place. Measure the battery’s dimensions, add 10%, and follow the same cutout for the battery. Insert the battery into the pocket. 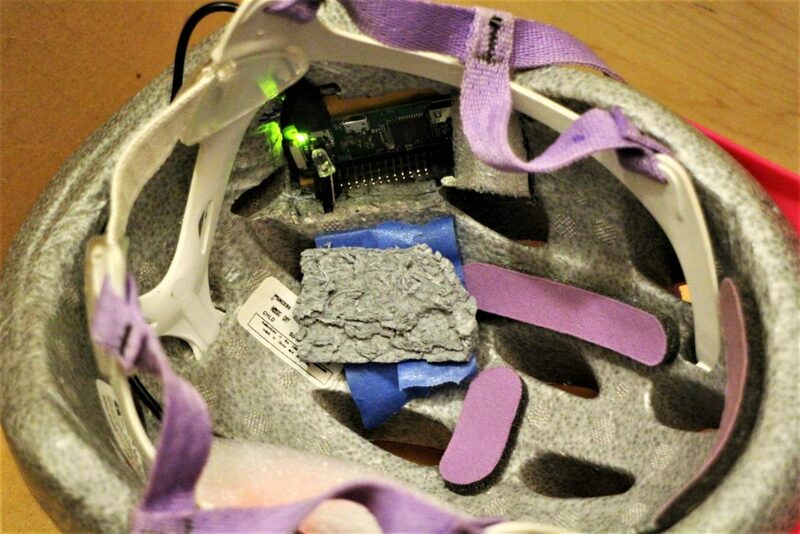 Repeat the insulation technique for the battery on the other side of the helmet. 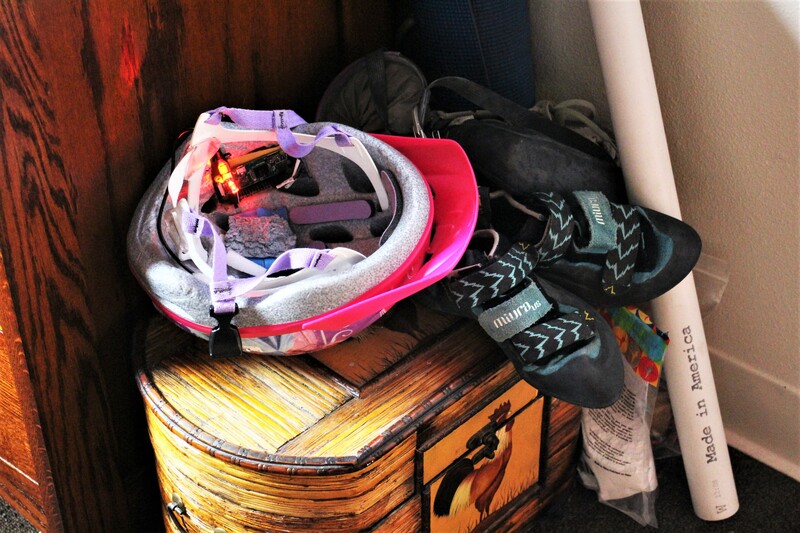 Hold the helmet padding in place with tape (your head will keep it all in place when you are wearing it). 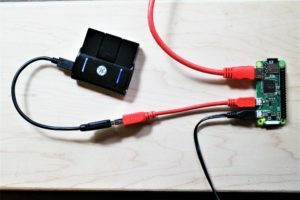 Power up the battery pack! 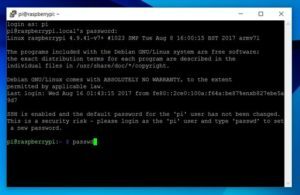 Now you can remotely log into the Pi through SSH or remote desktop and run the program via the terminal. Once the program is running, it starts recording data. When you disconnect from your home WiFi, the SSH connection will break, but the program should still log data. 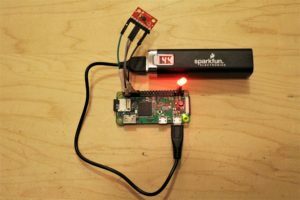 Consider connecting the Pi to your smartphone hotspot WiFi, or just log back in and grab the data when you get home. 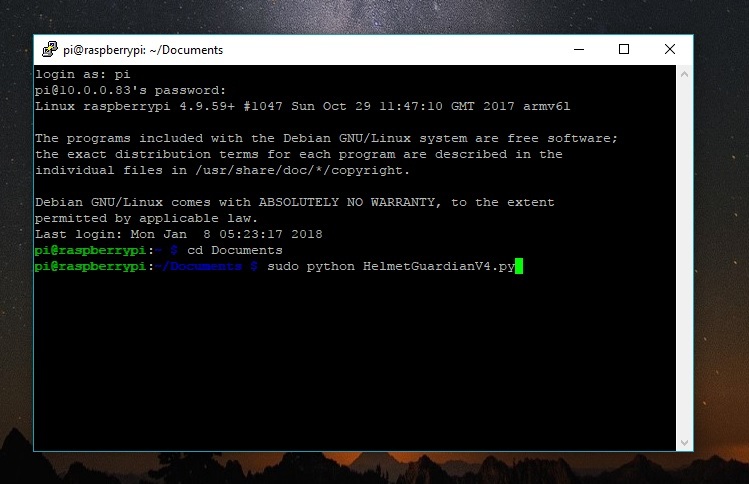 To access the data, remotely log into the Pi and read the text files. 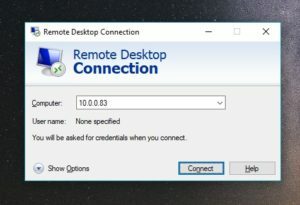 The current program will always append data to the existing files – if you want to delete data (like from testing), delete the text file (via the desktop or use the rm command in the terminal) or create a new file name in the program code (in User Parameters). If the LED is on, restarting the program will turn it off. Now go forth, have fun in life, and check on the data every so often if you happen to bump into something. Hopefully, it’s a small bump but at least you’ll know! Looking for improvements to the impact force monitor? It is outside the scope of the tutorial but try looking at the list below for ideas! Do some analysis on your g-force data in Python! 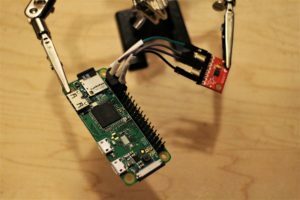 The Pi Zero has Bluetooth and WiFi capabilities – write an App to send the accelerometer data to your smartphone! 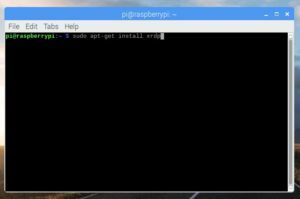 To get you started, here’s a tutorial for a Pi Twitter Monitor. 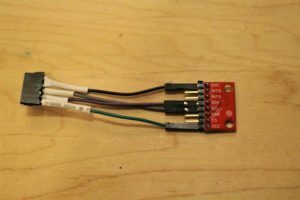 Add in other sensors, like a temperature sensor or a microphone*! ← Make a Minecraft Gesture Controller!